One thing that is demonstrated by being on a farm is the continuous renewal of life. 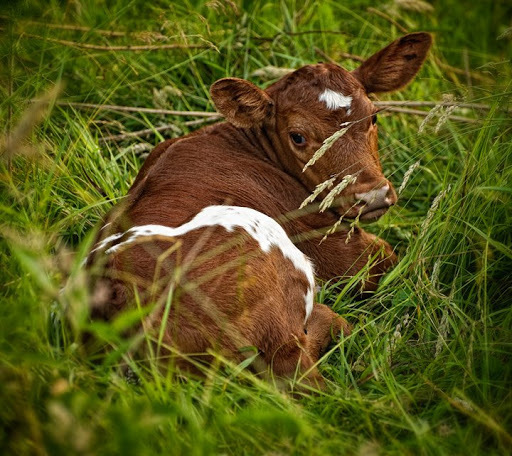 This baby calf rests in tall grass probably an hour or so after it was born. Mom was close by to offer her care.